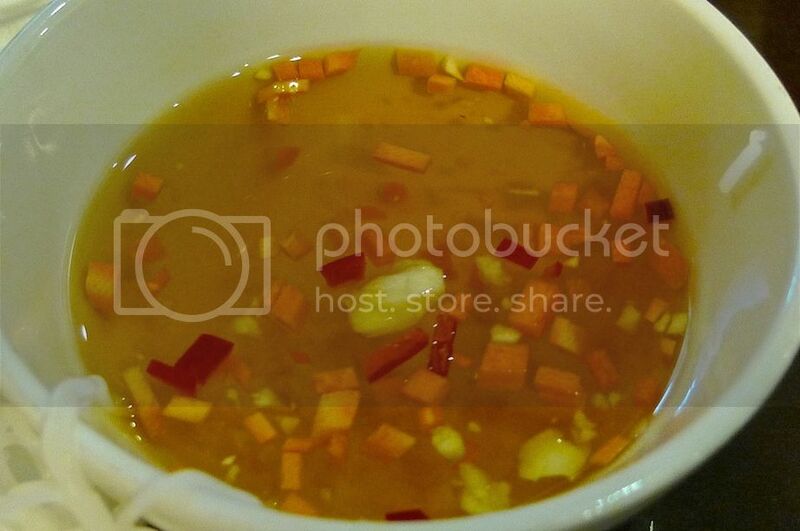 My very first taste of Vietnamese food in Hanoi was at New Day Restaurant. 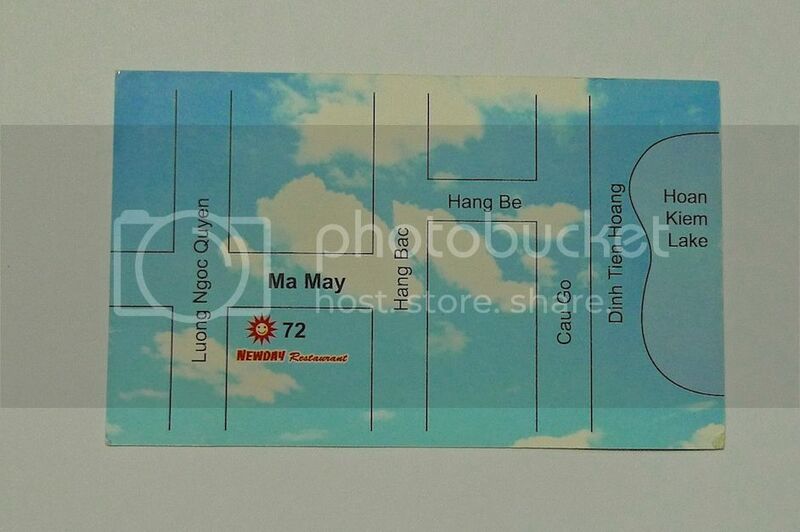 It was Son, my guide from Hanoikids who brought me here. 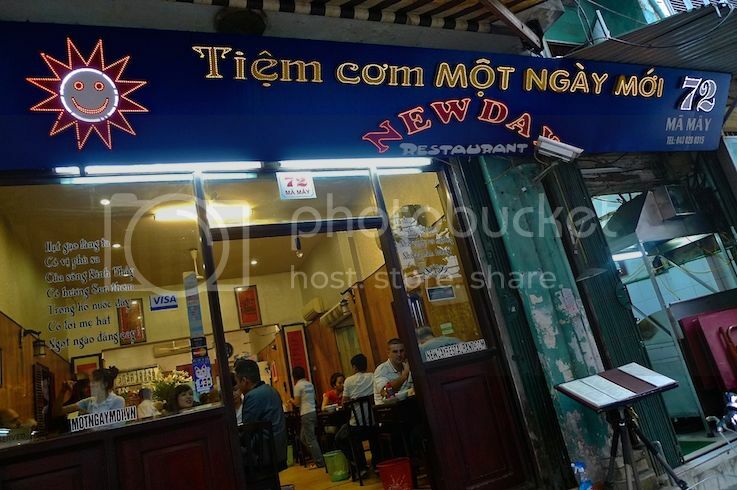 Located at 72 Ma May Street in Old Quarter, New Day Restaurant appears to be very popular with locals and tourists alike. Even though it was already past lunch time, there were still many customers around. 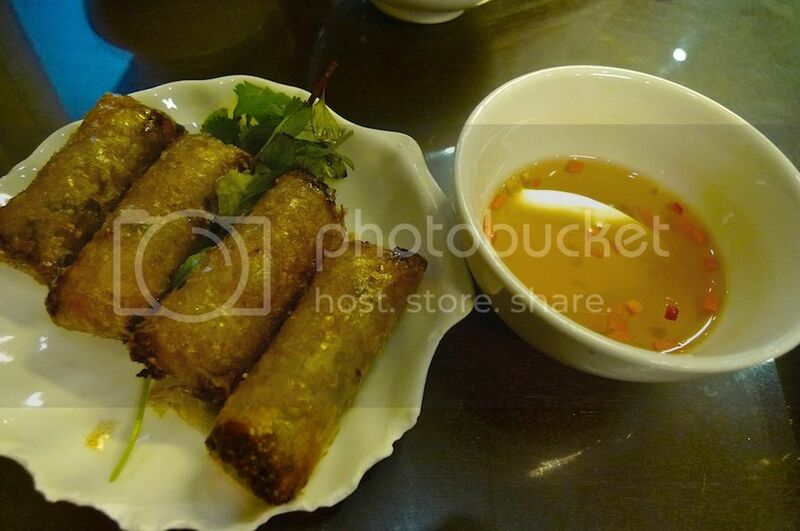 Under recommendation from Son, I ordered 4 rolls of Nem Ha Noi (Deep Fried Spring Rolls Hanoi Style). Dipped into the spicy sweet and sour sauce, they were delicious! 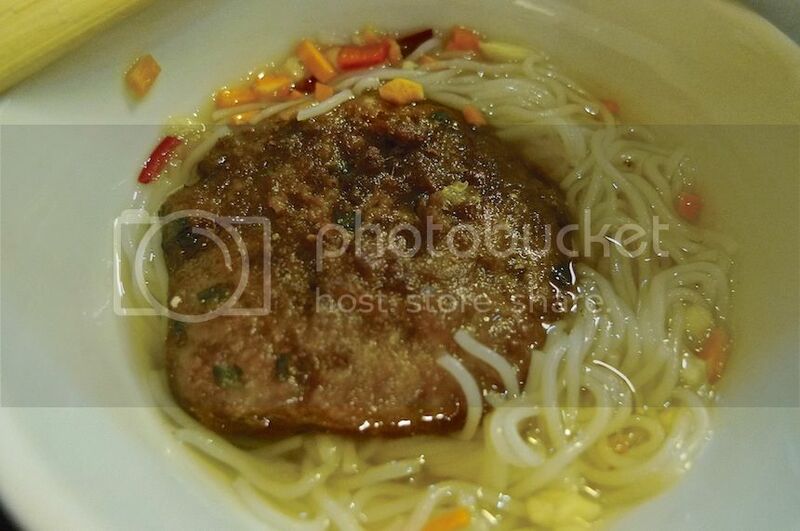 Son himself ordered Pho Xao Bo (Fried Instant Noodles With Beef). 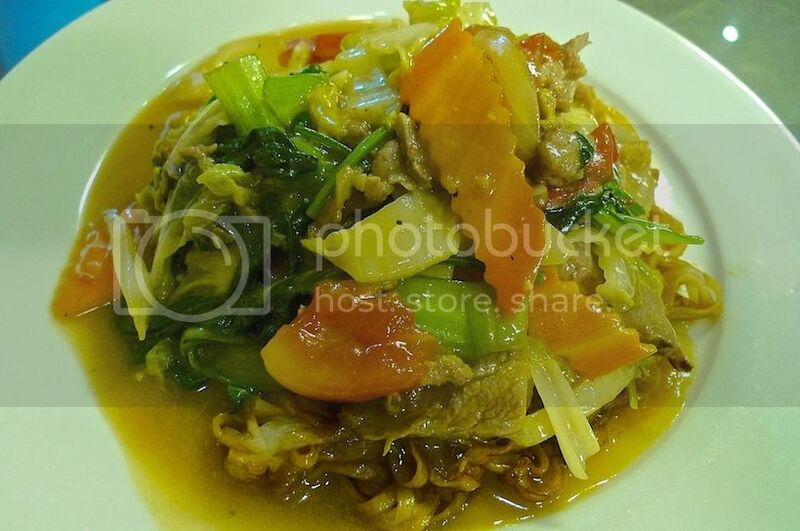 You can't really see the noodles as they were buried under the all those vegetables and beef! I did not try the Pho Xao Bo as I was too preoccupied with the main dish that Son ordered for me. 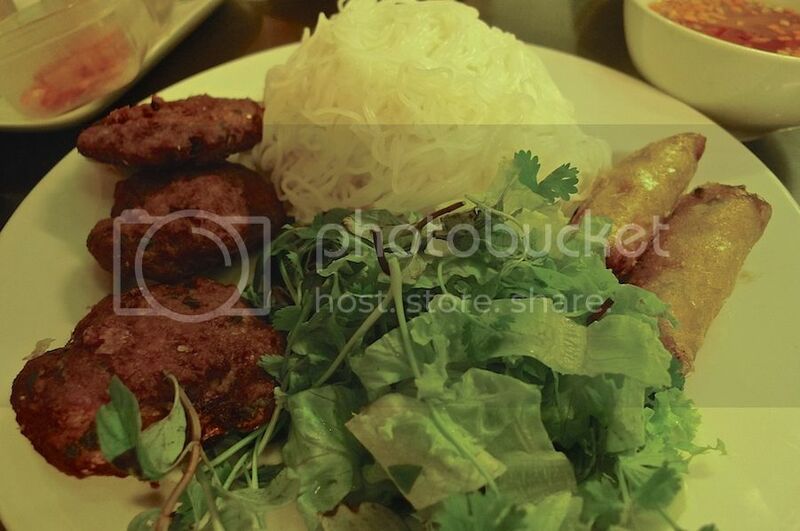 It was Bun Cha Ha Noi (Rice Noodle With Grilled Minced Pork Hanoi Style). I really love this dish! I think what made it really yummy was the spicy sweet and sour sauce that accompanied it. Dip the noodles and the minced pork into the bowl of sauce and they instantly become heavenly! If you think that the main dish was enough to make me full, think again! Haha! 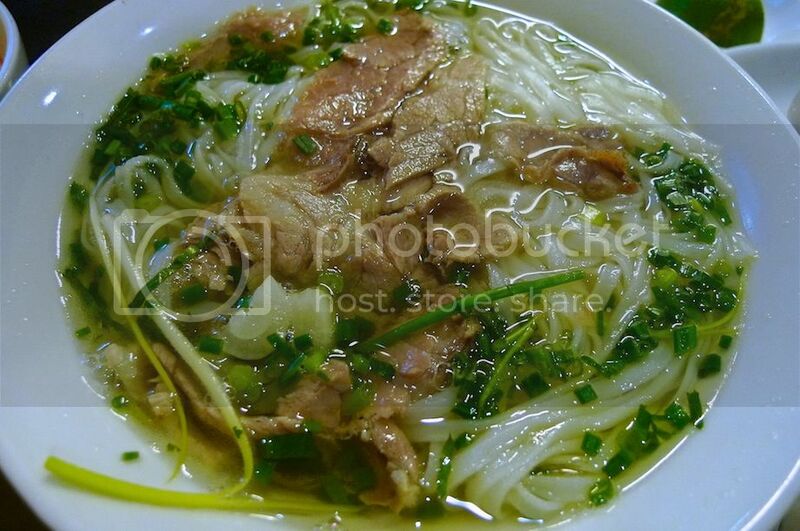 I must be really hungry because in addition to the Bun Cha, I actually ordered a bowl of Pho Bo (Beef in Rice Noodle Soup) as well! What can I say? The bowl of Pho Bo was delicious to say the least! And yes, I managed to finish all the noodles and beef to the last bit! For drinks, I had Sour Sop Smoothie while Son had Mango Smoothie. By the way, did you notice the prices? Not only were the food delicious, the prices were so very reasonable! On top of that, the service was pretty good too. The waitresses spoke English and were friendly. You can choose to sit inside or outside the restaurant. Balcony sitting is also available upstairs. 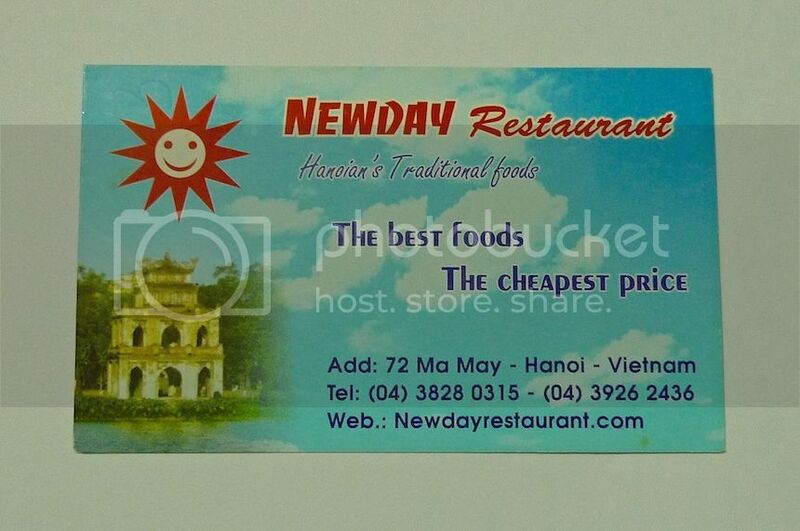 This is New Day Restaurant's name card. I like their slogan "The Best Foods - The Cheapest Price". Our total bill came to 255,000 Dong (US$12 / RM39.50). 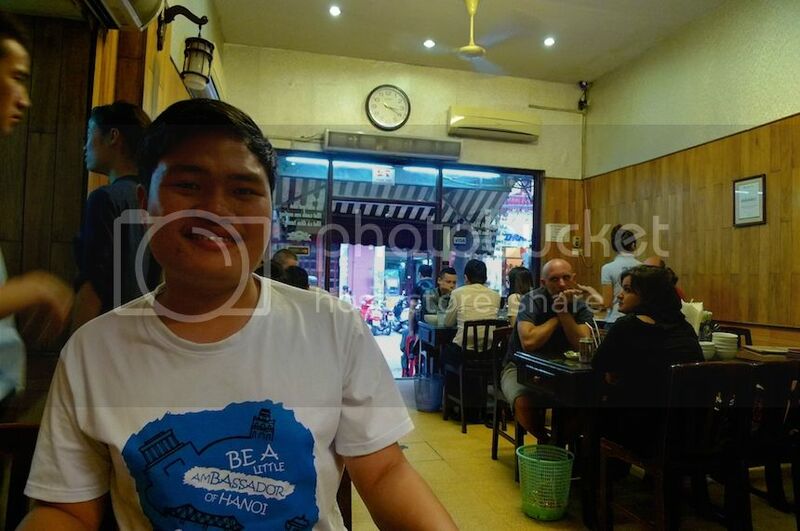 If I ever make another visit to Hanoi, I will definitely eat here again!